I hate to say it, but I think I may have found a new favorite French bakery. Don't hate me, I'll still come visit you since it's all the way in Salt Lake, but they are just so cute and delicious! My sister's roommate was getting married in Salt Lake, so after we dropped off her and my mother at the reception, we had an hour or so to kill in Salt Lake with my grandma. Where better to take her than a bakery? Nowhere, let me tell you. We got a little sampling of treats and then sat outside under the maple trees and enjoyed the lovely weather. First up, the Peach Charlotte, which is made with peaches from the Salt Lake Farmers Market just down the road. Wow. This little fruit delight was absolutely heavenly. The light spongy cake was a little basket for a wonderful whipped and chilled peach filling. The peach flavor was so real and fresh and was absolutely divine with the soft cake exterior. And as if that wasn't enough, we also partook of the most incredible Meyer Lemon Tart. I surely have mentioned this before, but I am a huge sucker for anything lemon flavored, and Meyer Lemons contribute this wonderfully unique and sweet lemon flavor that I. Die. For. It has a sweet and sturdy crust, and the filling tastes like real lemons, not weird pudding or something. 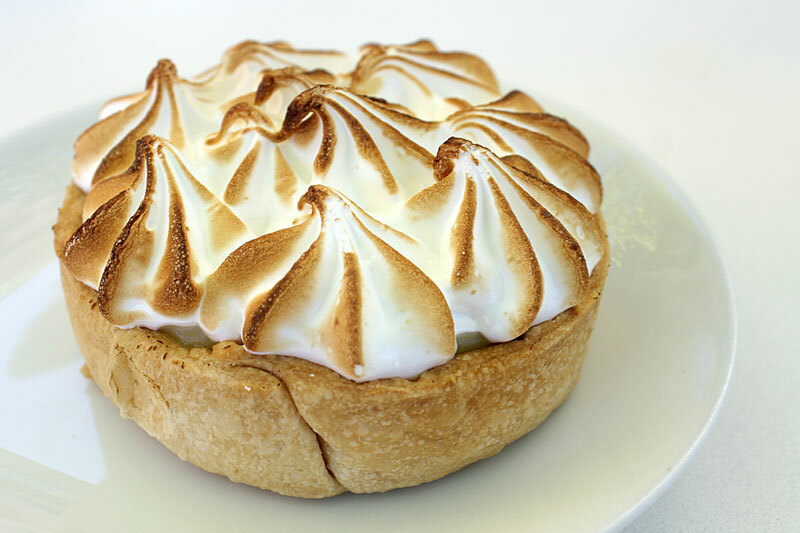 It has a cool and creamy texture, and the meringue on time is indescribable. I love how it is lightly toasted and the whole thing together is officially my new favorite dessert. Chocolate éclairs that actually taste like chocolate are always a favorite of ours, and this one did not disappoint. 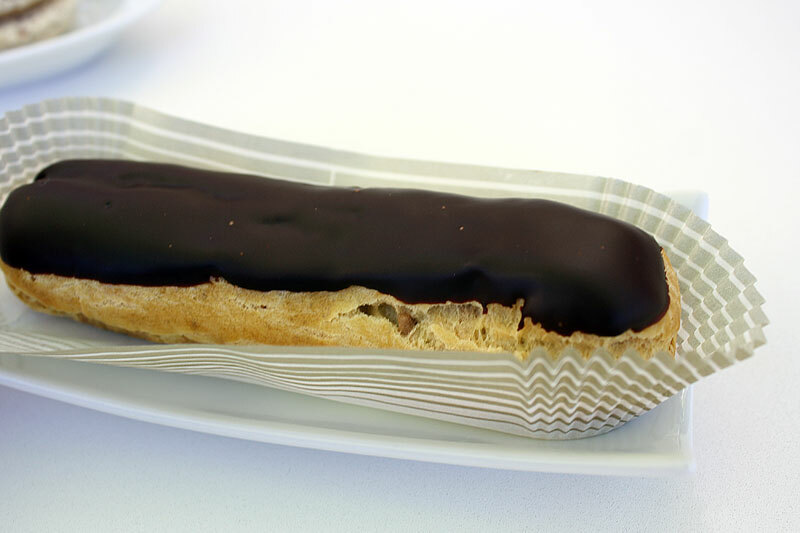 Although, of all the pastries we tried, I have to say that I think I actually prefer Eliane's chocolate éclair to this one. But there is absolutely no competition with that Meyer Lemon Tart!! 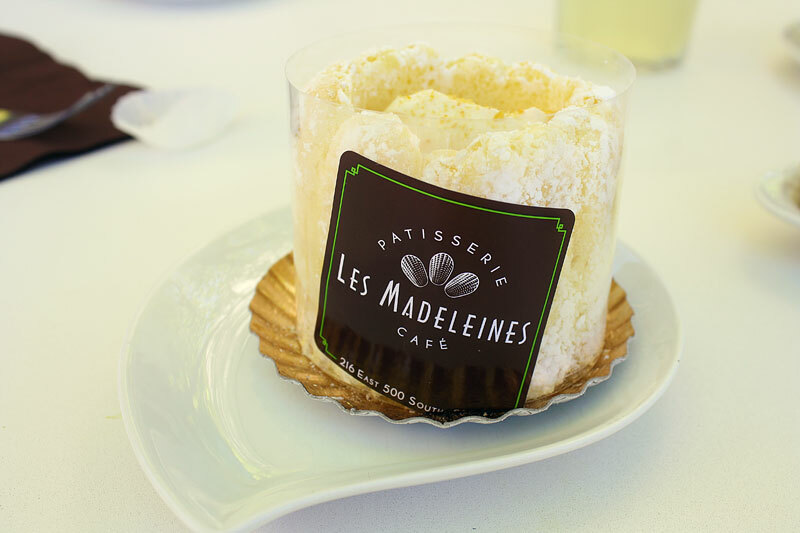 I've always been a macaron lover - the super cute double foot, the meringue-like texture, and the thin crisp crust on the exterior - and Les Madeleines does not disappoint here. These cookies are so delicate and hard to make, but I love them so much! It is hard to find a place that will sell you one for under $2, so when I saw these for $1.75 each, I had to get two. 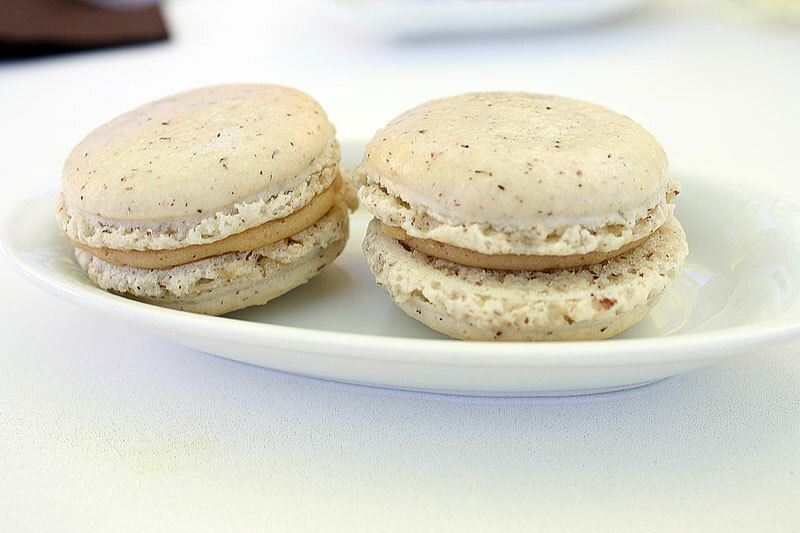 The hazelnut flavor was light and enjoyable, and they are just so dang cute...I can't help but loving them! 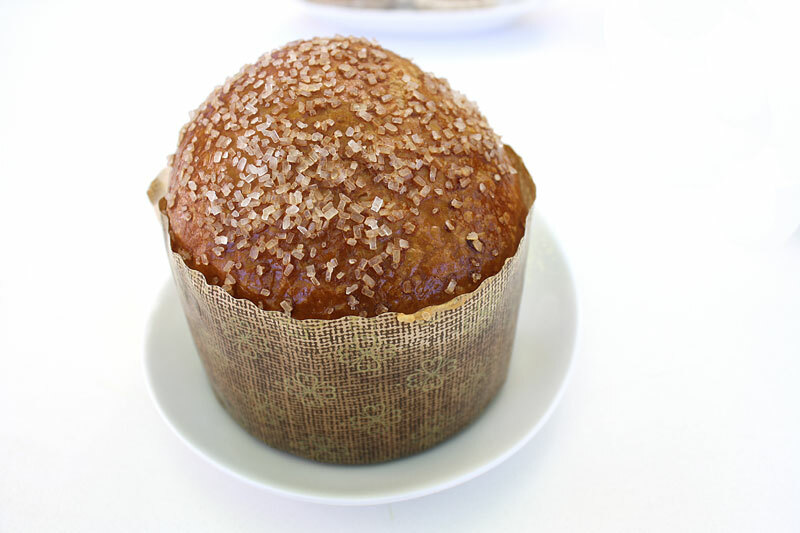 The craquelin was a unique buttery brioche pastry, with loads of crystalline sugar on top and a brown sugar & orange chewy center. Of all of the desserts we got, I probably would never order this one again, but Owen absolutely inhaled it, so to each his own, I guess! 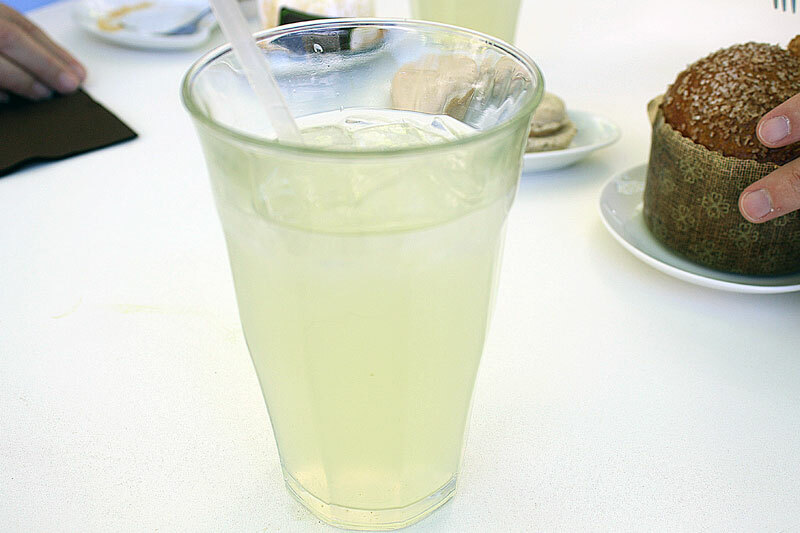 We each got a refreshing fresh squeezed limeade, which was delightfully tart and a little fizzy - a perfect beverage for sitting outside and enjoying a nice spring day. What You Should Do: You have to check it out! They have pretty limited hours - closed at 6 on most weekdays and at 4 on Saturdays, but they are absolutely worth the trip! I haven't even tried a majority of their desserts, but they each looked as amazing as the next. I think that for my birthday, I am just going to requests 5 of those little Meyer Lemon Tarts, and be happier than I can even explain. They also have a large lunch menu with a variety of sandwiches and other items, but really, how was I supposed to get something healthy with all of those cute little desserts staring me down?